Here, encounter one of history’s most unusual political leaders: a brilliant military commander who worked for peace, and also demonstrated a deep interest in learning and faith. Track his ingenious strategy against the Crusaders at the battle of Hattin, and follow the aftermath of the conflict, events that reveal Saladin’s visionary acts of humanity and broadmindedness. One of the best lectures yet in this outstanding series. 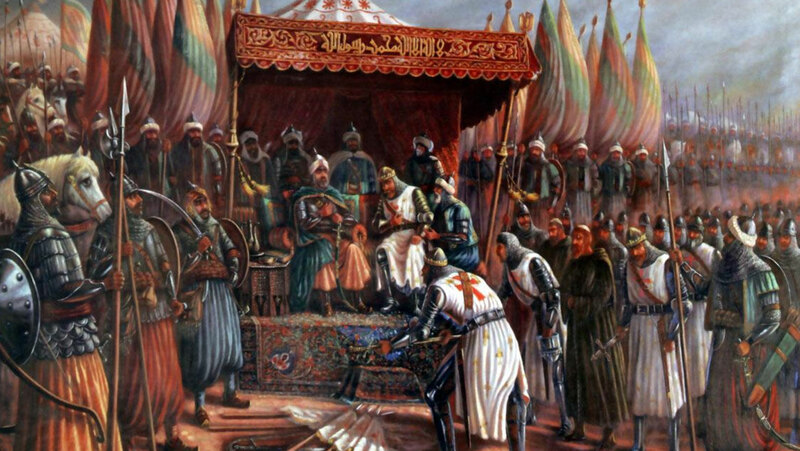 Very helpful in explaining why Saladin was so respected, even admired, by many of his crusader foes.